I recently attended my first Game Jam! We were broken into teams where I handled character art, item art, and animation for the game. 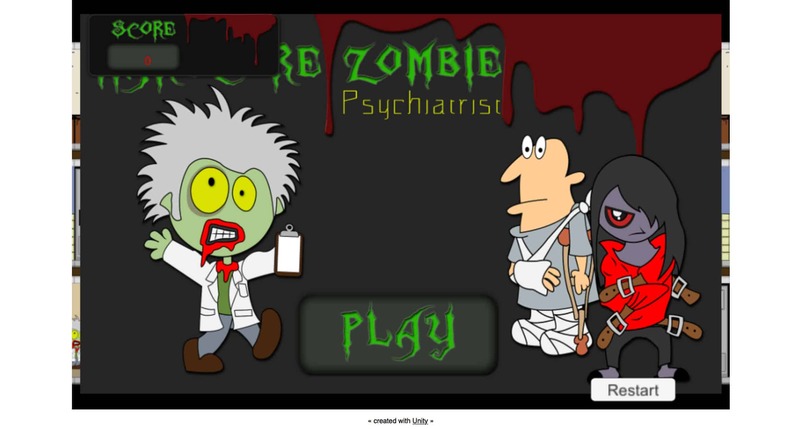 As a team, we had 2 days to come up with a full game based on the prompt “Zombie Psychiatrist”. We decided to do a 2D platformer. Create a full game within 2 days! Protagonist. We had 3 main characters in the game. The first was the Zombie Psychiatrist, whose goal was to eat a certain number of “healthy” brains in order to advance to the next level. Characters. We had two other characters, a healthy patient and a crazy patient. The Zombie Psychiatrist’s goal was to eat the healthy patient’s brains, while avoiding the crazy patient’s brain because it would kill him on impact (sad panda). Power Ups. There were 3 main boons for the game: 1) A sweater that granted the zombie a defense buff that would allow him not to die on impact from the crazy patient. 2) A pill that could be thrown on the crazy patient, turning her into a healthy patient. 3) A hypnosis wheel, that could redirect the path of the crazy patient when thrown at her. Game State. If the Zombie was able to avoid colliding with a crazy patient while eating enough healthy brains, he would advance to the next level. Game Setting. The game takes place in a hospital with a dystopian feel, after some type of catastrophic event! Discuss tools/engines more in depth at the beginning. Perhaps a more common ground could have been found in regard to development tools to use. There were pockets of time wasted attempting to get some items working that weren’t dire to the game. Perhaps a priority list could have been made at the very beginning, allowing the team to work in order of importance. I wish that we could have worked together after the game to get it completely finished, however, as it stands, I am taking Unity 5 trainings to get the game completely finished. 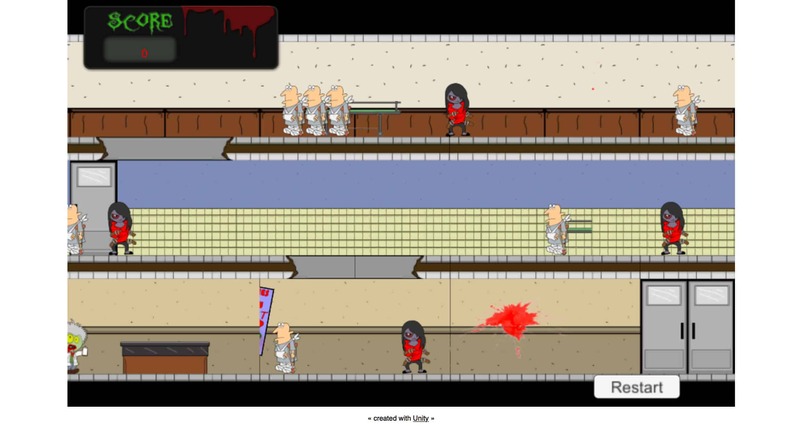 This game will always hold a special place in my heart, 1) It’s a game about zombies, 2) It’s the product of my very first game jam!